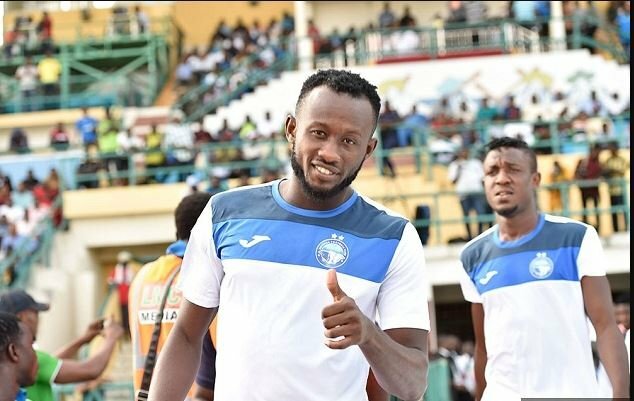 Captain Mfon Udoh has ended his romance with Enyimba as he would not be renewing his contract which ended when Lobi Stars FC were crowned Champions of the 2017/2018 NPFL season. Mfon Udoh went on to say he felt really honored to have led the army of the People’s Elephant for one season. On what happens after his contract ended with Enyimba International of Aba, he said, “As at now I am a free player who could join any team and as at now several offers have been pouring in, is left for the manager to study the one that will good for me. He went on to use the medium to thank the entire Enyimba International family, the Abia State Governor, His Excellency Okezie Ikpaezu, the Chairman of Enyimba International, Mr. Felix Anyansi, The sporting director of Enyimba int Mr. Jude Anyadufu, the Enyimba medical team, his colleagues and finally the fans. He concluded by giving glory to God for his return to the Super Eagles in the friendly encounter against the Lone Stars of Liberia and went on to described the experience as awesome.